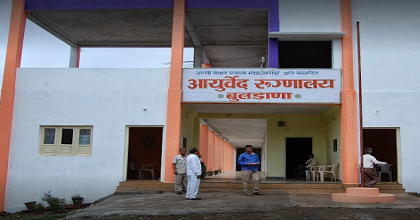 Anandi Shikshan Prasark Mandal Ayurvedic College Buldana is one of the reputed Private Ayurvedic Colleges in Maharashtra. It was established in the year 2000. It is affiliated to the Maharashtra University in Health Sciences Nashik and approved by Central Council of Indian Medicine. Anandi Shikshan Prasark Mandal Ayurvedic Buldana was started to serve students with the best ayurvedic care. Now the college has become synonyms with one of the best ayurvedic colleges in Maharashtra. Approved Central Council of Indian Medicine. In this article, we will provide you with the detailed information about Anandi Shikshan Prasark Mandal Ayurvedic College Buldana like fees structure, a course offered, Admission Procedure, placement Status, cut-off, facilities and complete college review. Admission seekers must have passed 10+2 or equivalent qualification, with Physics, Chemistry, Biology as main subjects. It is One of the best Ayurvedic College In Maharashtra. We would like to give 3.7 out of 5 stars on Edufever best Institute in India.